It’s a known fact that women are experts at "encrypting" the things they say. A simple statement carries a wealth of interesting implications. 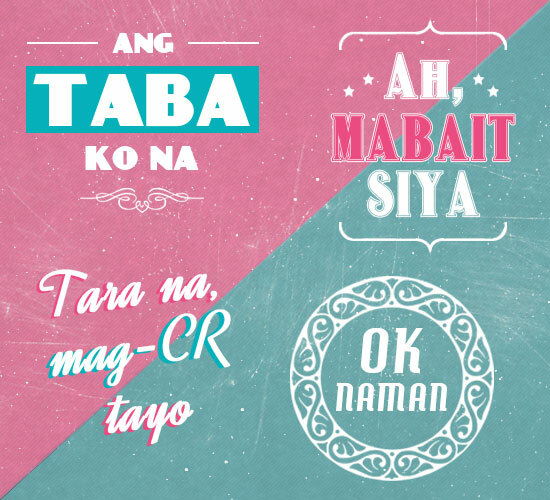 Pinays, of course, have an arsenal of these standard phrases that we've attempted to decipher. 1. "Tara na, mag-CR tayo." This is most likely uttered when two or more Pinays find themselves in the company of new acquaintances, most often their getting-to-know-you dates. What it probably means: "Let’s pretend that our bladders are synchronized so we can go to the ladies’ room to talk about the people we’re with." 2. "Ang taba ko na." This is often delivered with a sigh in front of mirrors and tables full of food. What it probably means: "Somebody please tell me I’m not really that fat." 3. "I’m not the typical Pinay." 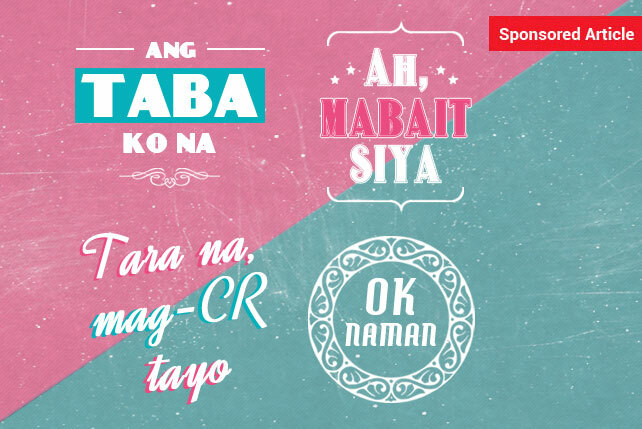 This is a claim made when entertaining the possibility of a relationship with a non-Pinoy. What it probably means: "I’m not conservative or clingy." 4. "Wala na akong pakialam sa kanya." This is a declaration most likely made about an ex, a frenemy, or anyone who's hate-worthy. What it probably means: "I don’t want to know anything about the person unless something embarrassing or horrible happened to him/her." 5. "NBSB (No Boyfriend Since Birth) ako." What it probably means: "I want to know what love is." This is an assessment made after dating someone who's a gentleman but isn’t "eye candy." What it probably means: "Forgive me for being shallow, but I can’t see myself kissing him even if he’s willing to cross mountains for me. Well, not yet anyway. Maybe he’ll grow on me." This is usually said upon seeing another woman who’s effortlessly beautiful. It’s not meant to be nasty. It could even be a compliment. However, if this is said when there is no beautiful woman present then it’s meant to be taken literally. What it probably means: "I wish I looked like her." This is the most likely answer to the questions about subjects that cause conflicted feelings such as on-the-job stress or a relationship going through a rough patch. What it probably means: "Don’t worry about me because I can still handle it." 9. "Busog na (po) ako." This is said when one is invited to eat an unplanned meal with either new acquaintances or people that are deemed annoying. What it probably means: "I’m not ready to spend more time with you." This is usually said with glee after a wicked deed has been done (such as leaving a nasty anonymous comment on a frenemy’s blog post) or after indulging in a guilty pleasure (such as eating a plate of liempo). What it probably means: "I don’t care if it’s wrong or right, basta I did something that feels good to me."